Environmentalist Stephanie Kaza invites us to consider how Buddhist principles can help us nurse the planet back to health. Photo by Petter Rudwall on Unsplash. Sometimes it seems like Buddhism doesn’t have much relevance to environmental problems. Can Buddhist philosophy solve climate change? Can meditation bring back lost species? I think about these things much of the time, trying to find my way in a world of plummeting ecosystem health. Every semester my students say, “But what can one person do?” If I don’t have some good answers, they won’t be able to move forward with the important work of saving the planet. So when they ask me, “Where should I begin?,” I usually reply, “What do you care about the most?” Since the problems are endless, no one can possibly address all of them. It is important to have a place to actually accomplish something, to be grounded in the physical, political, and economic realities of a specific situation. Because most environmental work is incremental and cumulative, you need a lot of motivation to hang in there over the long haul. I recommend listening for what calls you to respond; this is a good way to identify personally meaningful work. And yes, that work can be Buddhist practice. Here I offer several approaches based in Buddhist principles that can be applied to any environmental work. If you look at the state of the world today, the suffering—of plants and animals, forests and rivers, and local and indigenous peoples—is enormous. 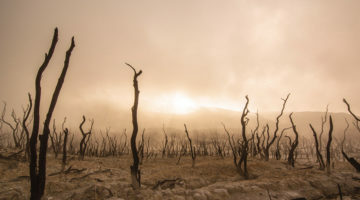 Global agriculture, urban sprawl, and industrial development have caused wide-scale loss of habitat, many local-species extinctions, severe land and water degradation, and unstable climate. In the last century, the rate of loss has accelerated significantly, to the point of threatening ecosystem health and the continuity of life. The first noble truth begins with the suffering that arises from the inevitability of change and loss. Facing this suffering and the delusions it generates is where Buddhist practice begins. In the precepts of the Order of Interbeing, Thich Nhat Hanh urges, “Do not avoid contact with suffering or close your eyes before suffering.” He directs students to be present with suffering to understand the nature of existence. This requires patience and equanimity in the face of disturbing realities—a clear-cut forest reduced to stumps, a once-lush river deadened by chemical waste, a coral reef blasted by dynamite fishing. It is not easy to gaze clear-eyed at these troubling results of human activity. Most of the time we would rather not think about the suffering caused by our actions. Yet from a Buddhist perspective, this is the best place to start, for it is grounded in reality, not idealized projection. Mindful awareness is all about direct experience of the actual state of things. The authenticity of such perception is freeing and motivating at the same time. Practices that quiet and focus the mind can provide a stable mental base from which to observe the whole catastrophe of human impact. To be with environmental suffering means being willing to be with the suffering produced by your own cultural conditioning toward other-than-human beings. Those of us in the West have been raised to see forests and rivers as potential resources. Human-centered views are one of the greatest deterrents to being fully present with other living beings. If you see the environment as primarily for human use—whether for food, shelter, recreation, or spiritual development—you may not see how others suffer under the thumb of human dominance. Being with suffering means learning about what is going on in a given environmental conflict. The four noble truths can be applied as a framework for diagnosis by posing four questions, each question corresponding to one of the truths: First, what is the environmental problem or suffering? Second, what are the causes of the suffering? Third, what would put an end to the suffering? And fourth, what is the path to realize this goal? This analysis is deceptively simple, yet it can be quite radical if you include all forms of suffering—that of people, animals, trees, species, habitats, and ecosystems. This method of diagnosis provides straightforward guidelines for how to become informed, and therefore more able to bear witness to the suffering involved. It also provides analytical balance to the emotions you inevitably feel when you glimpse another being’s suffering. Solving environmental problems almost always requires some understanding of ecological principles, or what I call “systems thinking.” The Buddhist principle of dependent co-arising provides an excellent foundation for systems thinking. According to this perspective, all events and beings are interdependent and mutually co-create each other. Thus the universe is seen as dynamic in all dimensions and scales of activity, with every action affecting and generating others in turn. You may be familiar with the Chinese Buddhist metaphor known as the Jewel Net of Indra, which expresses this dynamic of interdependence. Imagine a fishnet-like set of linked lines extending ad infinitum across horizontal and vertical dimensions of space. Then add more nets criss-crossing on the diagonals. Imagine an endless number of these nets criss-crossing every plane of space. At each node in every net, there is a multifaceted jewel that reflects every other jewel in the net. There is nothing outside the net and nothing that does not reverberate its presence throughout the net. From an ecological perspective, this metaphor makes obvious sense: ecological systems are exactly such complex sets of relations shaping and being shaped over time by the members of the system. You do not have to study ecological science to understand this; you can easily observe cause and effect in whatever system is close at hand—your family, your workplace, your backyard. You develop systems-thinking through looking at patterns in time and space, such as seasonal cycles or animal paths. For an ecologist, this way of looking is an essential tool. For a mindful citizen, pattern- or systems-thinking can help you raise useful questions in addressing environmental concerns. You can ask about the history of the conflict, the pattern of policy decisions, the economic and social needs of those involved, and the ecological relations at stake. Astute observers of systems can decipher the patterns of feedback that reflect the dominant shaping forces. Too much heat, the cat seeks shade. Too much cold, the cat finds a warm car hood to sleep on. Systems are shaped by self-regulating mechanisms, such as those that keep your body temperature constant, and by self-organizing patterns that allow the system to adapt when new opportunities arise. Self-regulating (which maintains the stability of the system) and self-organizing (which allows the system to evolve or “learn”) are both happening all the time at all levels of activity. You can practice observing this in your own body/mind to see how such feedback works. How do you respond to rainy days? To sunny days? To being hungry? To eating too much? To getting enough sleep? To not getting enough sleep? You can reflect on which places nourish you and why. This is all good practice for developing a systems mind. So far I’m talking about fairly straightforward bio-geophysical reality. 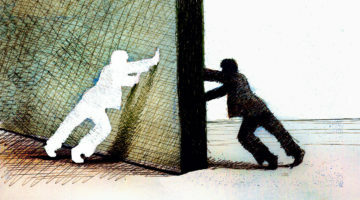 But the law of interdependence also includes the role of human thought and mental conditioning. In Buddhist philosophy, intention and mental attitudes count; what people think about the environment has a major effect on what they choose to do. The Buddhist systems-thinker involved in environmental controversy would ask as much about the human actors and their attitudes as about the affected trees and wildlife. This leads to a key aspect of systems thinking, agency, or who is actually doing what? This means determining who is responsible for decisions or actions that impact the planet and the human community. It means tracing the chain of cause and effect back to those who have generated the environmental damage and are in a position to change their course of action. The real world of Indra’s Net is not made up of equal players. Some agents definitely carry more weight than others, as is painfully obvious with the current U.S. administration. Identifying key actors and policy decisions is vital to choosing strategies that can re-orient the system to healthy goals. Liberty Hyde Bailey, an American naturalist at the turn of the century, said, “The happiest life has the greatest number of points of contact with the world, and it has the deepest feeling and sympathy with everything that is.” He was describing the experience of a soulful systems-thinker, one who brings awareness to everyday relations with all beings. A Buddhist might sense this as a deep understanding of the law of interdependence. My point is that such awareness is available to all and is foundational to doing effective environmental work. If you learn the shape of local rivers and mountains, if you meet the people who grow your food, if you help the world become a more livable place, you can begin to see yourself not only as one who is shaped by but also as one who shapes Indra’s Net. Non-harming, or ahimsa, is a central principle in Buddhist ethics. This first precept informs all other ethical commitments. Understanding how deeply life is conditioned by suffering, the Buddhist aims not to create further suffering and to reduce suffering wherever possible—in other words, to cause minimal harm. In its deepest sense, ahimsa means the absence of even the urge to kill or harm. Such a compassionate response is said to arise naturally out of a broadly felt connection to other beings. This guideline is not meant to be an impossible ideal but rather a barometer for making choices about how to act. I believe it applies well as a principle for environmental decisions. The U.S. National Environmental Protection Act was written with this intention; environmental impact statements were mandated to measure how much suffering would be caused by a federal project and to suggest mitigation measures to reduce the impact. Reducing suffering might mean changing harvest methods, for example, or it could mean providing protection for species close to extinction. The practice of non-harming is idealized in the Mahayana archetype of the bodhisattva, the enlightened being who returns lifetime after lifetime to help all who are suffering. The bodhisattva’s vow is all-encompassing, requiring endless compassion. Green Buddhists have coined the term “ecosattva” to conjure a bodhisattva pledged to ending environmental suffering. Ecosattvas can take their work into any field of environmental concern—agriculture, water pollution, climate stabilization, wilderness protection. The opportunities are endless. Their work carries the strength of the bodhisattva vow to help all who are suffering. Having such a vow as a reference point can relieve our usual anxious pursuit of quick results. Many environmental problems, in fact, are quite intractable and will take lifetimes, maybe even generations, to turn around. A steady intention can provide a grounding point in the midst of what may be a very long battle for environmental stability. Two places where I hear a lot of discussion about reducing harm are in relation to food and energy. The suffering of modern meat production for animals, workers, and the land has been well documented (see Fast Food Nation by Eric Schlosser, or The Omnivore’s Dilemma by Michael Pollan). Likewise, industrial agriculture has been exposed for its chemical assaults on soil and human health. Many people are choosing ethical principles for eating that reduce harm to animals, plants, soils, and the human body. For some, this means eating food produced organically and, if possible, grown by local farmers, thereby decreasing the energy expense of long-distance shipping. For others, this means choosing fair trade products that reduce the toll on field laborers and producers in a competitive global system. Some reduce the lonely anonymity of food shopping by participating in community-supported agriculture food shares. I find myself especially concerned about energy choices for the future. My students know that oil production will peak in their lifetimes and that alternative sources of energy must be developed. Biodiesel fuel is quite popular, since it offers a way to recycle used vegetable oil. Wind and solar energy both cause comparatively little harm to the environment, especially compared to coal and oil production. Many people would love to own a hybrid electric vehicle that would allow them to be less dependent on the petroleum economy. While “non-harming” may not be a key word in this conversation, the direction seems clear: why cause any more harm to the environment? Hasn’t there already been enough? Enough Chernobyl meltdowns and Exxon Valdez oil spills? Getting “off-grid” could be seen as a moral ideal, a way to reduce your ecological footprint and be a better neighbor to the rest of the world. In his new book, Getting to Peace, William Ury, an internationally recognized leader in conflict negotiation, has laid out a number of principles for finding solutions that work to stabilize political conflicts at many levels. It seems to me that his work on “getting to peace” applies well to environmental issues, which often involve conflict between different parties and different points of view. Some people have said that we are now fighting World War Three—not the war against terrorism, but the assault against the environment. Pesticides, nuclear waste, toxic chemicals, clear-cutting—all these and more are direct attacks on living beings of many kinds. In his book, Ury lays out a role for what he calls “the third side,” a party outside the immediate conflict but with a vested interest in a peaceful outcome. 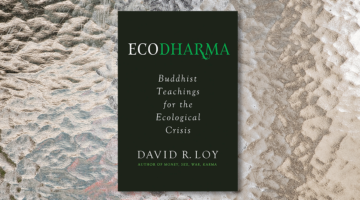 This suggests a useful role for Buddhists concerned about the environment. The third side party can clarify differences, provide protection to threatened parties, and educate where knowledge is needed. Someone with Buddhist sensibilities can draw on the practices I’ve suggested—being with the suffering, cultivating systems mind, practicing non-harming—and help to stabilize an ongoing conflict. The third side plays an active part, engaging conflict but not taking sides. Ury describes ten specific third-side roles, all of which apply to environmental situations. I’d like to highlight three that seem particularly well suited for a Buddhist approach. The bridge-builder works to prevent conflict by strengthening weak relationships in the human and ecological web. Very often environmental problems arise from user conflicts over a resource or a particular area. Round-table discussions that bring all the parties together can help coordinate and regulate user activities. Where conflicts have escalated and relations are damaged, a Buddhist practitioner might be drawn to the role of healer. A third-side party with a commitment to compassionate action can be a valuable asset in moving a situation forward to resolution. The Buddhist practitioner skilled in relational thinking can analyze the causes and conditions of the conflict and work to heal brokenness and damage. This may take diplomacy, courage, and patience, depending on the degree of the injury. I can imagine bringing this healer role to your own neighborhood if people are angry over bird-hunting cats or chemical spraying. The healer helps conflicting parties understand each others’ positions and find a better solution to the problems at hand. When environmental conflict has become entrenched and resolution is not in sight, taking a third-side peacekeeping role requires more courage. I think of the massive gold mining operations in Indonesia, for example, where the military is well paid by the mining company to squelch local conflict. The history of assault on the land and people is so deeply ingrained that it will not be easy to resolve. Here a Buddhist practitioner might serve in the role of witness, making the public aware of what is happening to the plants and animals under attack. Bringing attention to the problem exposes harmful behavior, which can then generate public pressure for change. A Buddhist approach is not necessarily more effective than other approaches, but it may add less antagonism to the situation. Rather than further polarizing an already tense situation, the Buddhist can act compassionately toward all parties, bearing witness without accusation, reporting facts without condemnation. If you recite your own vow of intention, it can be an actual force of renewal in the universe, opening up new possibilities for peaceful relations. Engaging environmental problems is not easy work. But if you work with these Buddhist principles—being with the suffering, cultivating systems thinking, reducing harm, and generating peace—the task seems more possible. 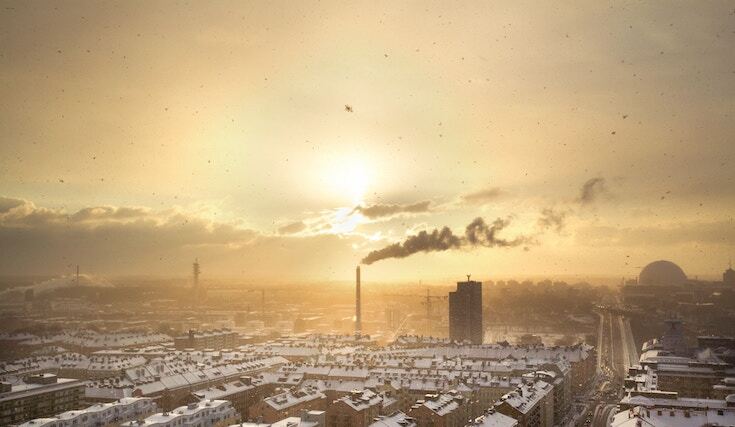 I haven’t told you whether to get involved with climate protection or waste reduction. I haven’t said whether population or consumption is causing more damage to the earth. There are many fine resources in print and online that take up just these questions. What I hope is that anyone working at any level, as a citizen or professional, as a parent or student, can take up these Buddhist approaches and put them to good use. The Buddha felt the true test of his teachings was whether they were actually helpful in everyday life. Those I’ve offered here are core to my environmental work. I hope they may be of good use to you in whatever piece of the caregiving you take on.